Top US diplomat Sunday in Riyadh invited Iran-backed militia, which have been fighting the Islamic State group (IS) alongside the Iraqi army, to go back home now that the terror group is almost defeated. Tillerson at a joint press conference with his Saudi counterpart Adel Jubeir hinted that Iran should call back its fighters in Iraq. “Iranian militias that are in Iraq, now that the fight against Daesh is coming to a close, those militias need to go home. The foreign fighters in Iraq need to go home and allow the Iraqi people to regain control,” he said using the Arabic name of the terrorist group. Thousands of Iraqis have been fighting under the banner of the Popular Mobilization Forces (PMF); a paramilitary force trained and supported by Iran and its Islamic Revolutionary Guard Corps (IRGC). The US and allies backed the Iraqi forces to take control of most IS-held territories. The country is now turned towards reconstruction of the liberated cities. Tillerson also urged companies not to do business with IRGC adding that doing so will be at their own risk. The US administration last week after refusing to certify the 2015 landmark nuclear deal indicated that it was preparing new sanctions against Iran, especially the IRGC officials. 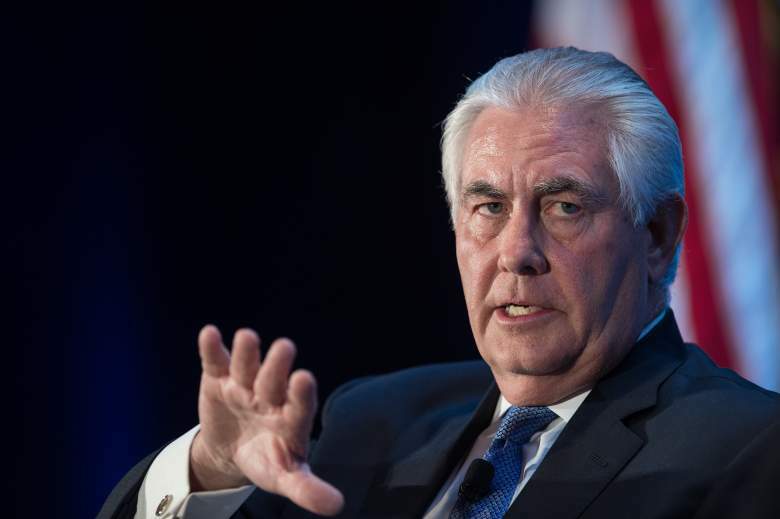 “Both our countries believe those who conduct business with the Revolutionary Guard, any of their entities, European companies or other companies around the world really do so at great risk,” Tillerson said. The cooperation meeting between Saudi Arabia and Iraq was meant to bolster ties between Riyadh and Baghdad in a move to avoid that Iran expands its influence in Iraq now that ISIS is almost out. The meeting dubbed ‘first joint coordination council’ looks to forge joint efforts against terrorism and development of business and trade ties. Written by: Peter Mulvany on October 23, 2017. Posted by Peter Mulvany on Oct 23 2017. Filed under Headlines, World News. You can follow any responses to this entry through the RSS 2.0. Both comments and pings are currently closed.